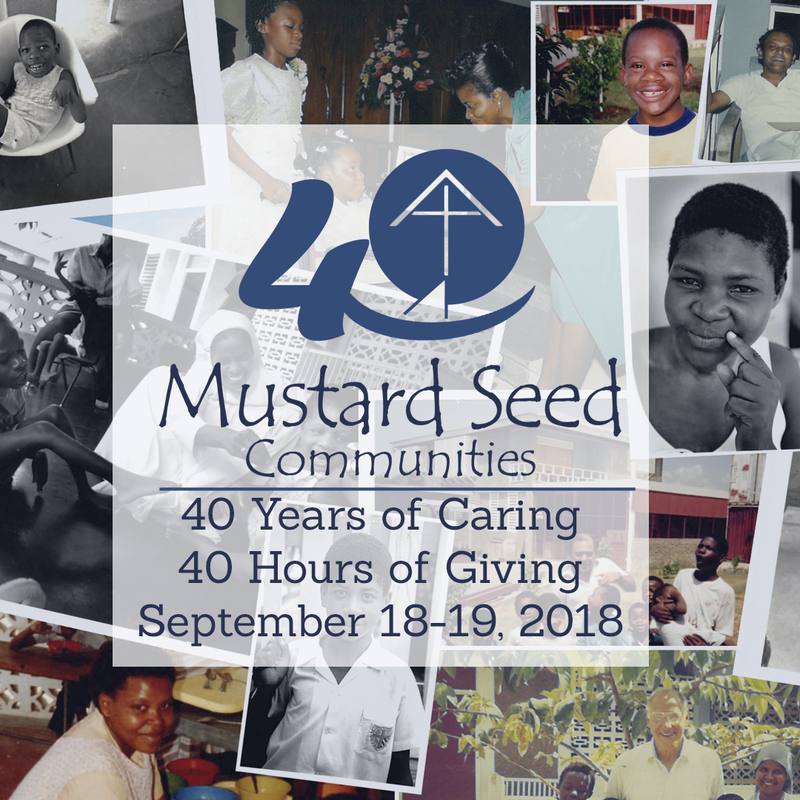 As a social ambassador, you spread the message and mission of Mustard Seed Communities to celebrate the 40th anniversary of MSC on September 18-19, 2018 in 40 hours of giving. You can download photos for social posts here. Attend the Facebook event for the 40th anniversary Invite friends by hitting the Share button at the top of the page. Add a frame to your Facebook story or profile. Make sure you Like Mustard Seed Communities on Facebook. Go to your own profile and click update profile picture. Add frame. Go scroll down to find Frames from Pages I like. Add any of Mustard Seed Communities designs for the Giving Day. You can also try adding a Mustard Seed frame to your Facebook story. Make sure to use this link (http://bit.ly/2nIM9R7) to the donation form and add the hashtag #MSCgivingday! How did you first become involved with MSC? Is there a resident who stands out in your mind? Please tell us about them. Have you been on a mission trip? Please tell us about your experience. How has Mustard Seed been a blessing in your life? On Facebook, hit Fundraisers from the sidebar (desktop) or the menu (mobile). Hit Raise Money. When it asks you who are you raising money for hit Nonprofit, then search for Mustard Seed Communities. You can use the banner that pops up or upload this banner. Change the title to YOUR NAME’s fundraiser for Mustard Seed’s 40 Years of Caring. 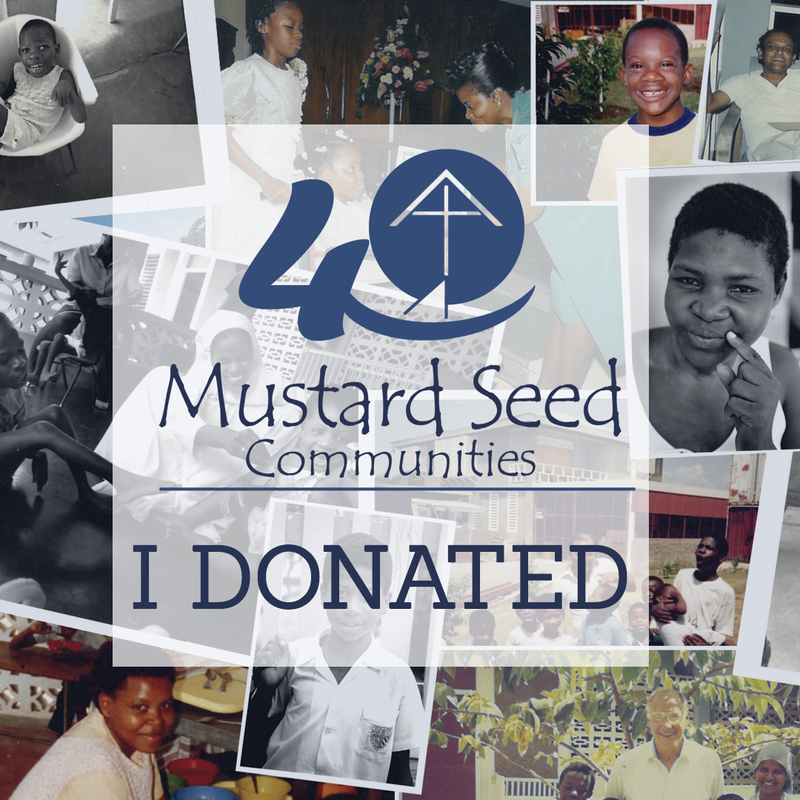 I’m raising funds for Mustard Seed Communities in honor of their 40th anniversary. What started as a small home for children with disabilities in Kingston, Jamaica has grown into a community of caring around the world. 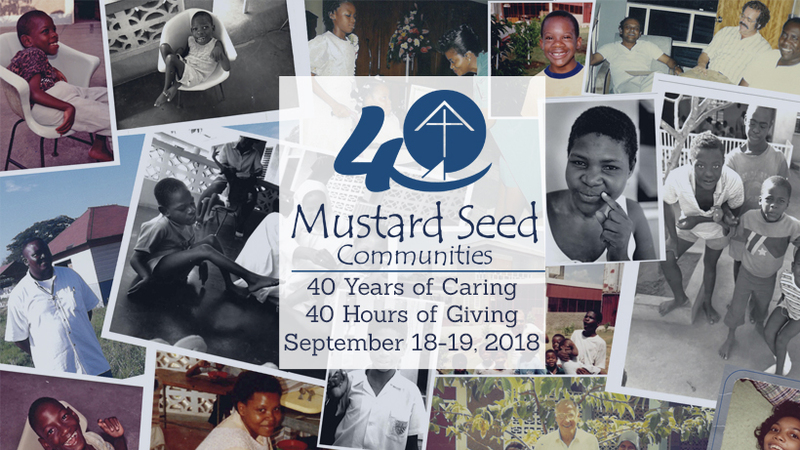 Today, Mustard Seed provides residential care to over 600 children and adults with disabilities, children affected by HIV/AIDS, and teenage mothers in crisis as well as employment training, early childhood education, and nutrition programs to vulnerable communities. I got involved with Mustard Seed when… (ADD INFORMATION HERE ABOUT WHY MSC IS IMPORTANT TO YOU). I need your support to help the organization raise $40,000. A generous donor has committed to match up to $20,000 in donations. With this match, your gift will go twice as far to provide nutritious food, medical care, a loving home, and outreach to vulnerable children and communities. Your gift means a lot to me and a donation of any size will make a big impact! Set the end date for September 20, 2018. You can share the link to your fundraiser to your feed. Any personal information you can add about why this fundraiser is important to you will help raise funds. Remember to thank donors and post an update on your fundraiser about once a week until the fundraiser ends. Make updates about how close you are to your goal. Thank you for being part of our community! For any questions, email social@mustardseed.com or call 508-242-9622.